Beautiful florals for logo design, web and graphic design. Make your artwork interactive with these great floral designs. 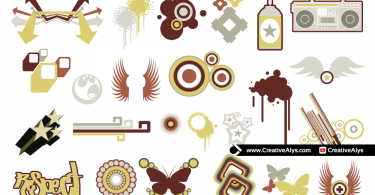 These floral design elements are in vector format for easy customization. Grab it now and feel free to share it.